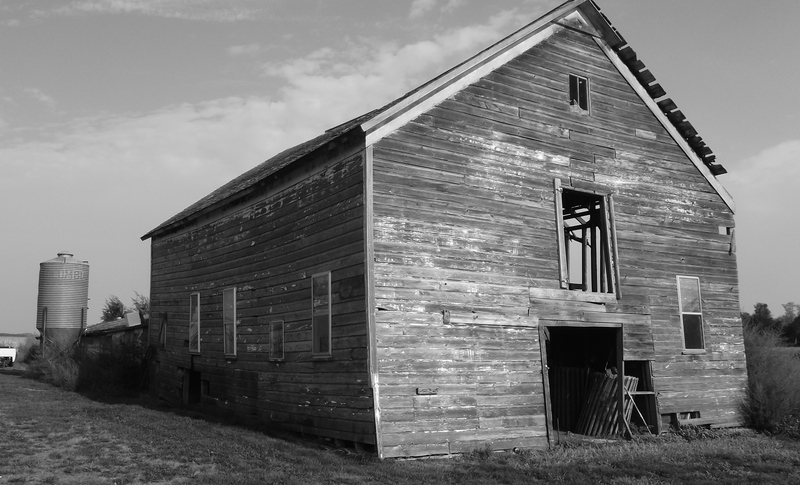 While scouting for the movie Nebraska, the Production Designer says, “Since the movie will be shot in black and white, why don’t we take location photos in black and white?” Silence. Murmurs. Why yes, indeed a no brainer. And why didn’t I think of that earlier? So settings on our still cameras were switched to shoot black and white photography. But wait. That brought up another question. Now keep in mind, we were looking to see what the locations looked like live – versus snapping pictures and showing what a still of it looked like later. Some of us had a small digital screen on our cameras but the iPad and even the iPhone would be better as a viewfinder with a black and white App. There were many apps available that converted black and white photos. Some did it instantly but those still viewed in color. I found an app called Live FX. Once the app was downloaded (the Lite version was free) we just set it at the black and white filter * and boom – live black and white viewfinder. It was immediately curious and fun to see things in shades and tones. Tufts of green grass, lush fields of crops, and shade – crushed to black. 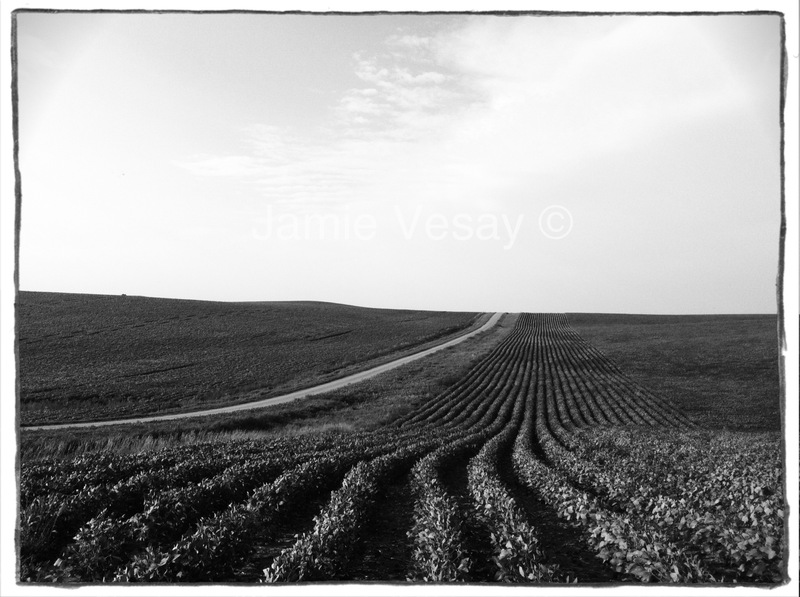 Rows of soybeans and a road to the sky. Lines and design on city buildings seemed to become more visible. The sky became a whole new kind of beautiful. 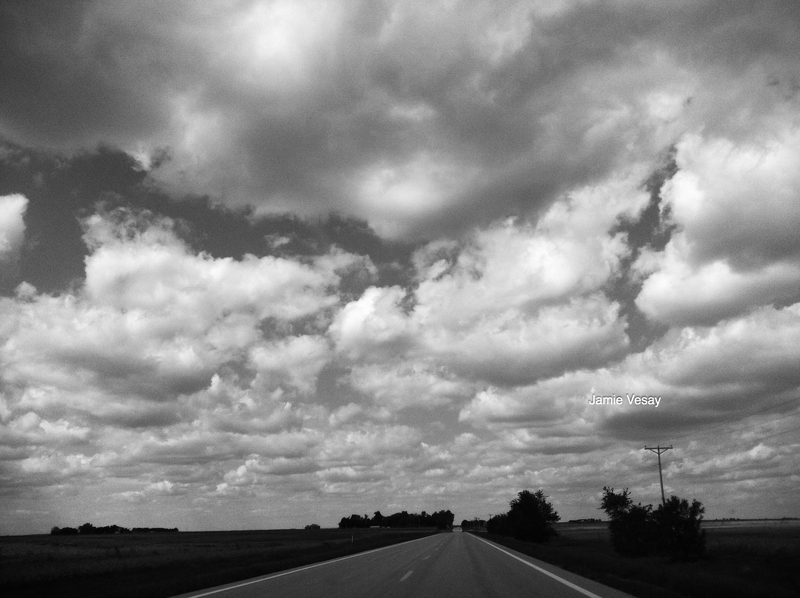 Summer clouds over a country road. Textures on buildings were scrutinized much closer. The red barn actually had to be a certain tone of red. Wood and peeled paint was cool. Color was actually added to a white building (not the one below). Let’s just say it looked better in black and white. Barn building with storm windows. Eventually, the Locations Department committed to shooting all scout photos in black and white. Most of them were never shot in color. I share this information with you just in case you ever find yourself scouting for a black and white project. It is indeed the way to go. If not, try shooting in black and white for your personal photography. 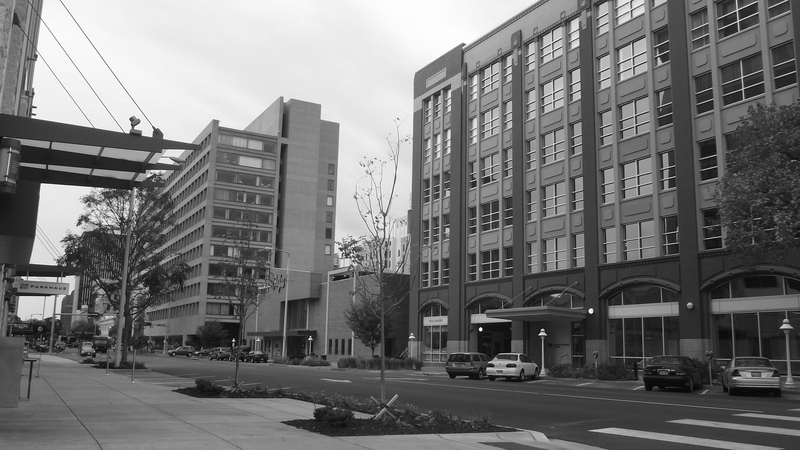 I challenge you to shoot in black and white – not in color and convert later. It will train you to capture your vision live. Have fun. 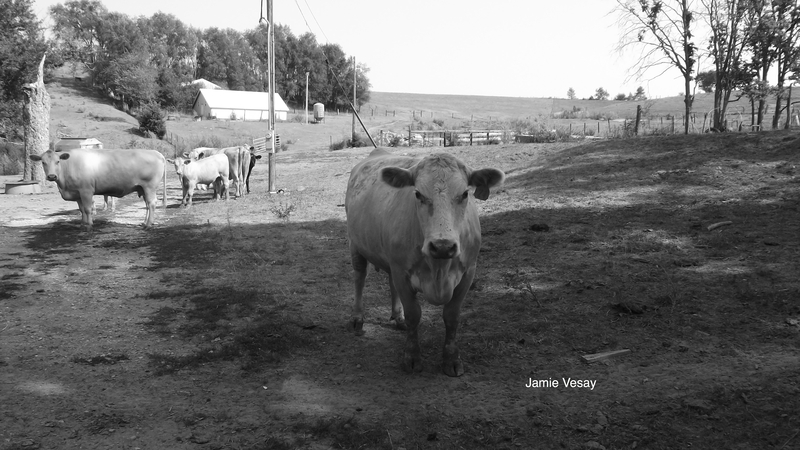 The movie Nebraska was released in 2013 and is available as download and DVD. On the BluRay disc there is a Making Of extra that includes more talk of scouting and shooting in black and white. I am in the Locations section. * The extra steps of scrubbing through the filters on Live FX was a tad cumbersome. Since then, another app called Vintage B&W viewed instantly in black & white. I’m sure there may be others out there.